There are screen printed tees everywhere. Many of them are quite pretty. Many quite expensive. And some with designs that include things we'd rather not have. So we made our own. It's quite easy actually. 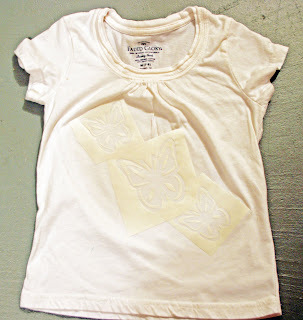 After putting on the butterflies, I decided to add a little ruffle to make this tee a tunic. Add your own ruffles with this tutorial. Then upcycled a pair of leggings. 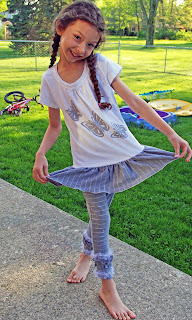 These leggings were originally made from a large adult thrifted tee and this pattern. The leggings were from winter with black ruffles. I replaced the black ruffle with white tulle. 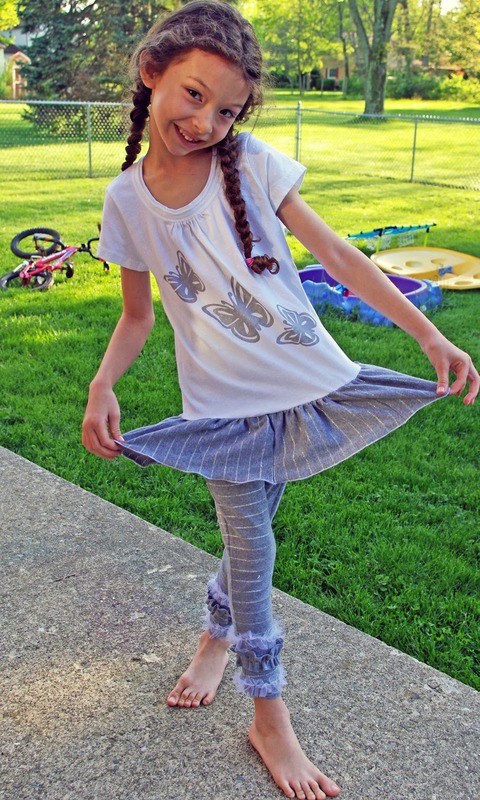 Since Curly has grown this winter, the leggings are now a cropped length and perfect for a new outfit. 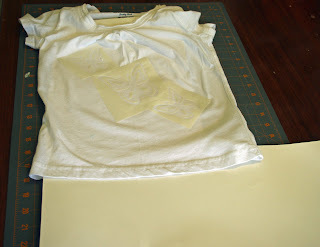 This week I'm going to write about "screen printing" with fabric paint and a handmade stencil. 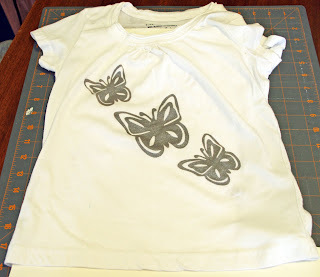 There are many ways to make a stencil for "screen printing". You can trace and cut it by hand. 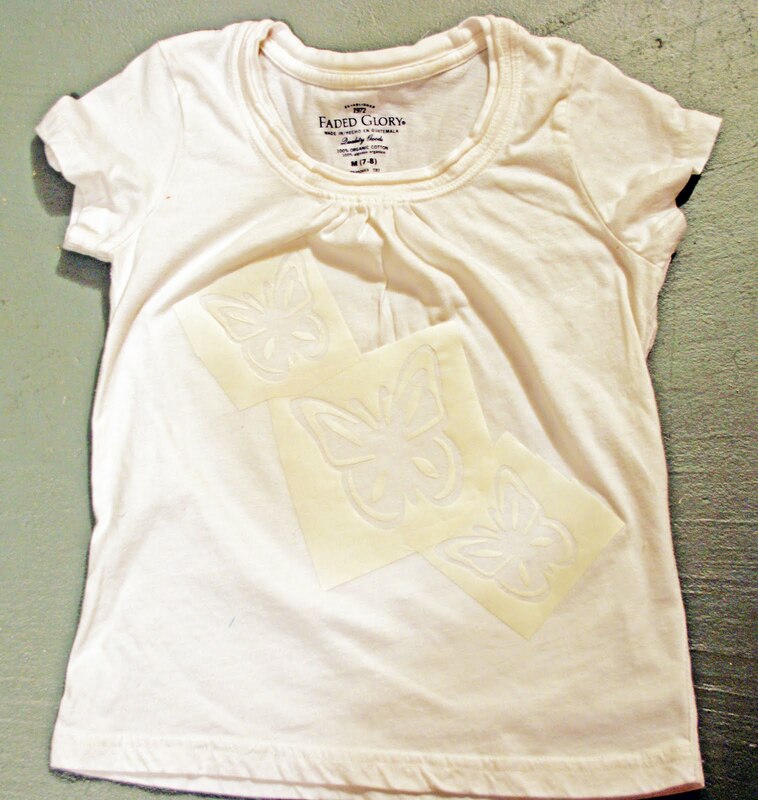 But, we like the precision of our Cricut Machine and and flexibility of the SCAL software. 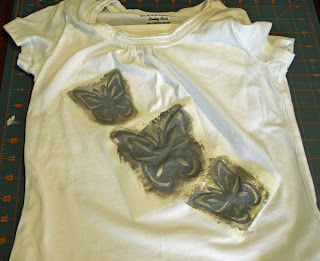 Fabric Paint (or craft paint and a fabric medium...mix as the fabric medium suggests) Our paint is silver metallic. 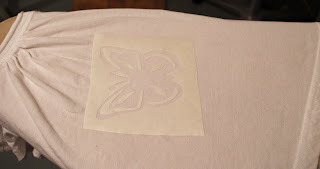 I'll be writing directions for the use of the cricut to cut the stencil. You'll apply which ever stencil making method you choose to use. 1. 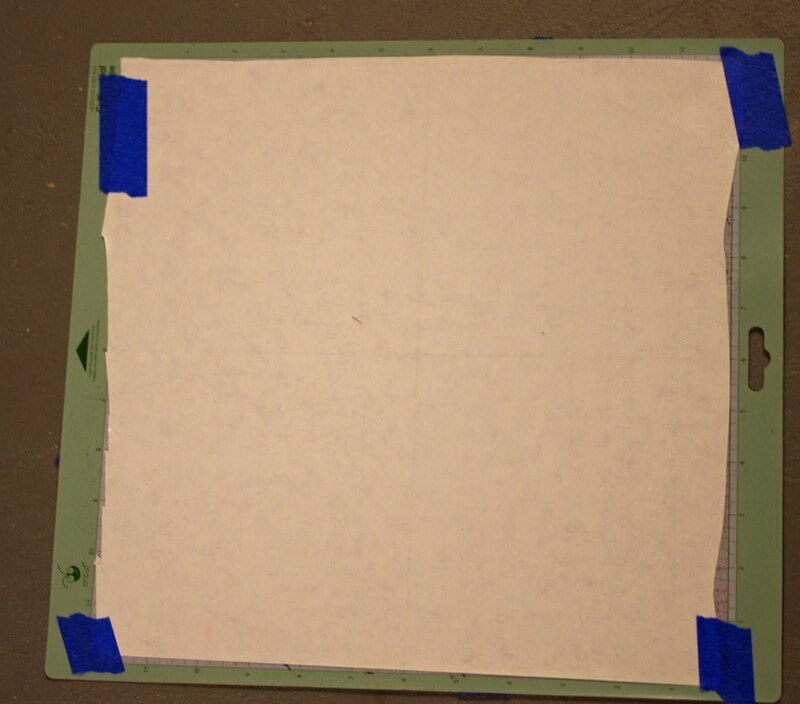 Lay freezer paper on to cutting mat. Make sure it is secure. I like to tape down the corners, since freezer paper likes to roll up. 2. Choose and cut design. 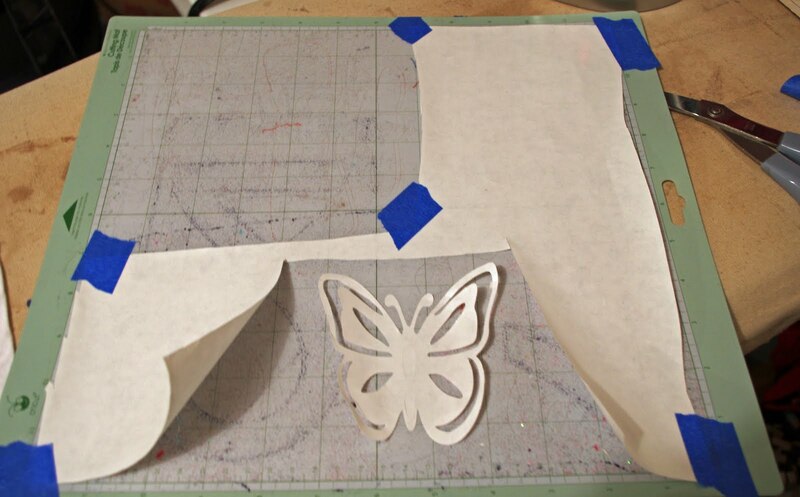 We got our butterfly free online and used our SCAL software to resize and cut it with our Cricut. SCAL software allows you to use a variety of svg files without purchasing a number of cartridges. In fact, we have hundreds of free designs found online and only own one cartridge...the one that came with our Cricut. 3. 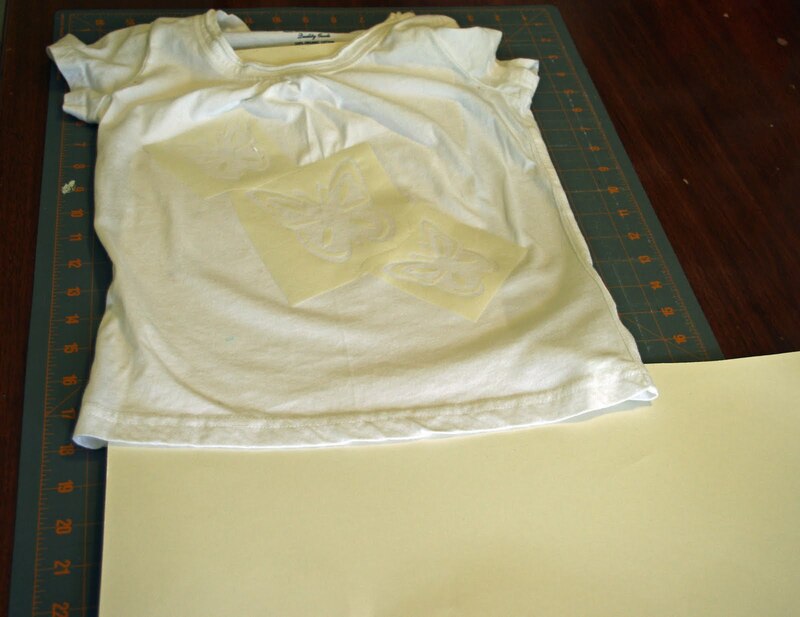 Remove the outline pieces of your design and place them on the tee then iron. They'll stick. Make sure all of the edges are secured to the tee. 4. We used more than one size and more than one butterfly. 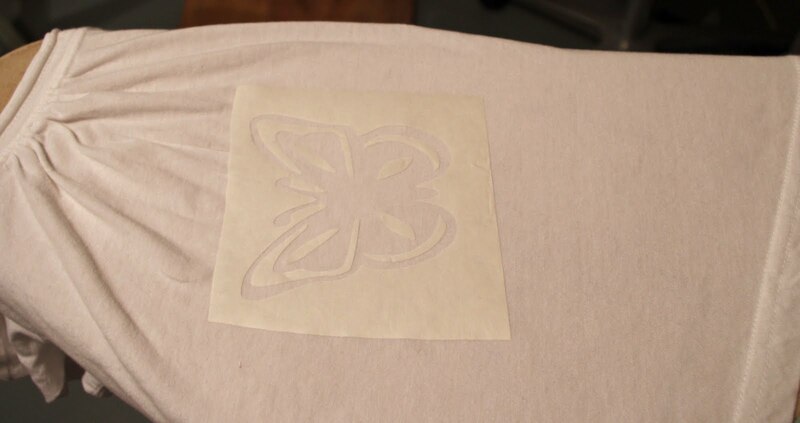 So we cut and placed three butterflies on our tee. 5. Place a mat of some type inside the tee so that the paint doesn't bleed through....absolutely necessary!!!! 6. 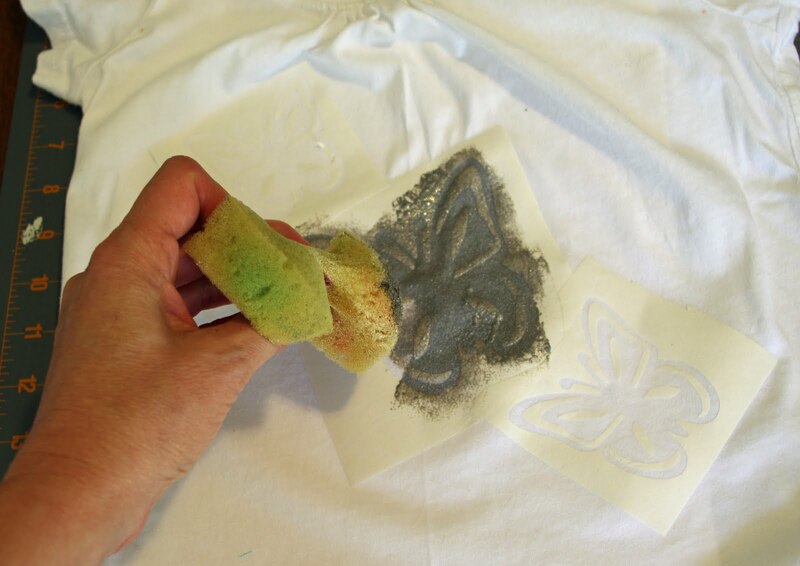 Using a sponge dab on paint until you cannot see any tee shirt through it, but you don't want to over do. Too much paint will cause the paint to squish under the edges of the stencil. 7. Allow the paint to dry to the touch. Place it out of the reach of curious assistants. Heat set with your iron as directed on the bottle of your fabric paint. We'd love to see what you choose to "screen print". Please send us pictures or post them in our flickr group. Also, we'd love to answer any questions you might have about Cricut or SCAL. You can even buy SCAL by following this link. 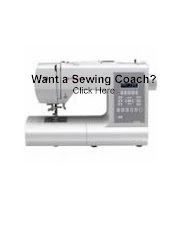 (And, yes we are an affiliate and will earn from your purchase.) We use our machine and software to cut all types of appliques, hair accessories, and of course stencils! But, no we don't scrapbook....oh my! A new A-line skirt pattern should be ready this week. Keep watching for it's launch and special price.